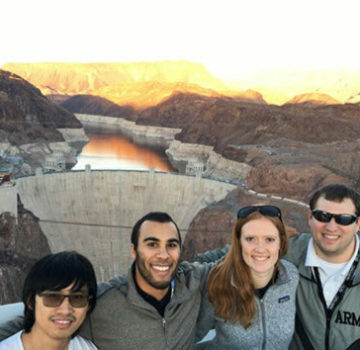 Several technical tours were offered during the 2018 ASCE Western Regional Younger Member Council Conference in Las Vegas, including a visit to the Hoover Dam. Seattle Younger Member Forum members attended the WRYMC and opted to go on an excursion to the dam. 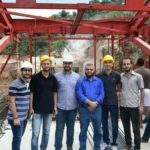 Members received a guided tour of the power plant and went through the dam’s passageways. The iconic structure was completed in 1935, generating a yearly average of 4.5 billion kilowatt-hours to serve the electrical demands of nearly 8 million people. Located on the Nevada-Arizona border, the concrete arch-gravity dam gets close to 1 million visitors every year. 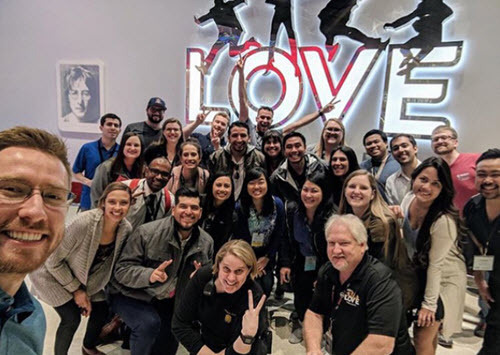 The Southern San Joaquin Younger Member Forum went behind the scenes of The Beatles LOVE Cirque Du Soleil show in Las Vegas. Members got a glimpse of the costumes, choreography, and music that inspired the musical’s insight into trends and politics of the 1960s. 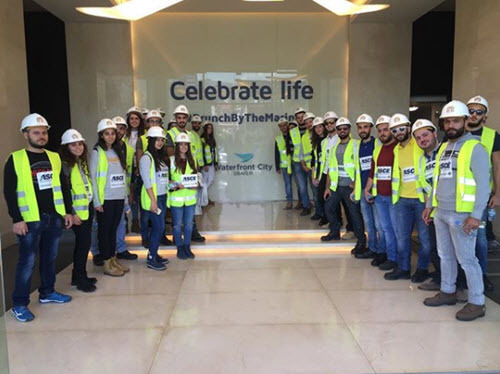 Members of the University of Balamand Student Chapter recently went on a site tour of Waterfront City. The community, located in Dbayeh, Lebanon, offers living spaces, numerous dining options, green parks, and more. Students received a thorough look at the new development from a technical standpoint. 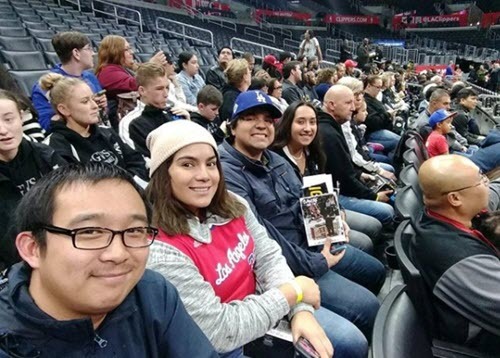 Members of the California State University, Los Angeles Student Chapter recently visited the Staples Center arena to root for the Los Angeles Clippers. All attendees received a DeAndre Jordan bobblehead and got an exclusive viewing of Clippers warmups. 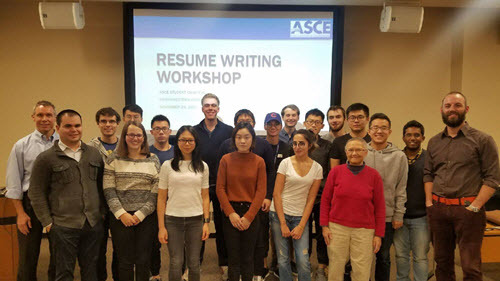 Aspiring engineers attended a resume-writing workshop, hosted by the Illinois Section, to leverage their work experiences. 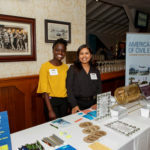 Professional engineers volunteered their time to mentor and guide the future engineers in achieving their career goals. Keep up with the Section on Facebook. It was a big day for members of the Florida Atlantic University Student Chapter as they prepared for winter graduation. 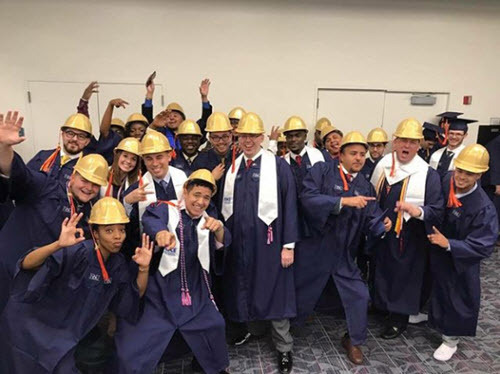 The future engineers wore their hard hats proudly as they walked across the stage. 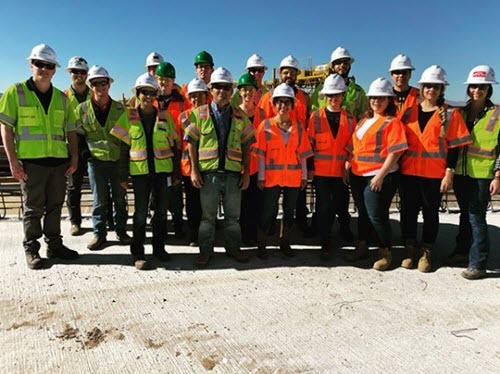 The Phoenix Younger Member Forum went on a tour of the biggest freeway project in Arizona history, spanning 22 miles. 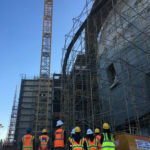 Attendees got a behind-the-scenes look at various areas of the new project. 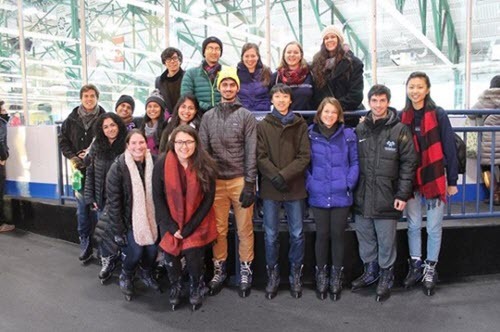 Members from the Columbia University Student Chapter gathered at the Sky Rink at Chelsea Piers in New York City for team bonding and ice skating. 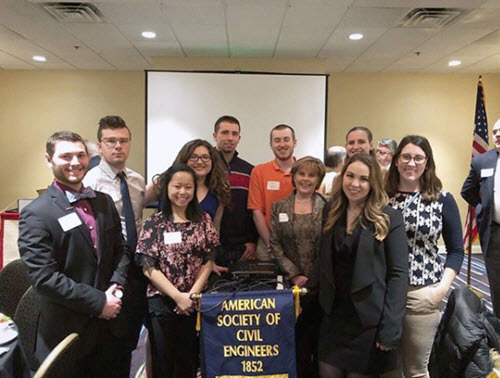 Members of the Widener University Student Chapter attended an ASCE dinner meeting and learned about the Scudder Falls Bridge Replacement Project. The chapter’s executive team discussed past accomplishments and made plans for the coming semester. What better way to represent ASCE than at a football game? 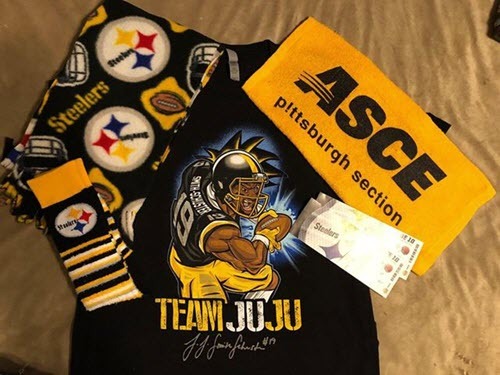 ASCE Member Jedidiah Douglas Elam cheered on the Pittsburgh Steelers while representing ASCE’s Pittsburgh Section. 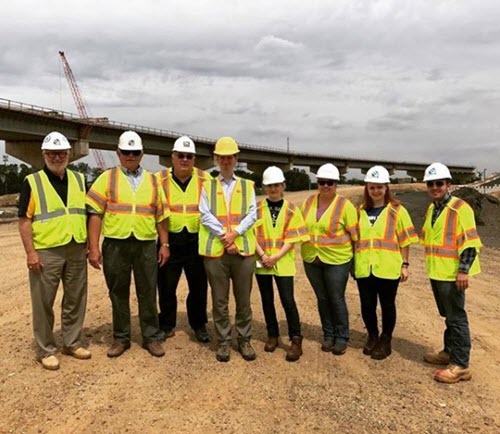 Drexel University Student Chapter members toured the site of the Pennsylvania Turnpike/Interstate 95 Interchange Project. Students inspected the various phases of the project, such as the Neshaminy Plaza and the new Bristol Pike Interchange. 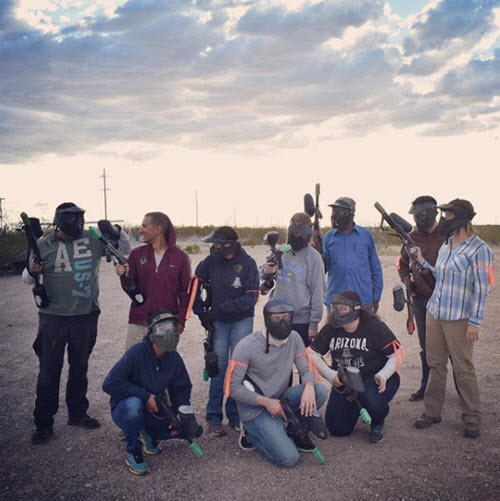 The Southern Arizona Branch Younger Member Forum hosted a paintball social at Desert Fox Paintball, in Tucson. Members gathered for a round of paintballing and networking. Keep up with the Branch Younger Member Forum on Instagram. 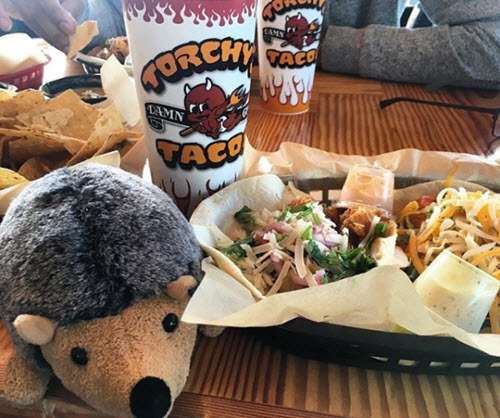 Members of the Austin Branch Younger Member Forum took Foundation Phil out for his first Taco Tuesday experience at Torchy’s Tacos in White Stone, TX. 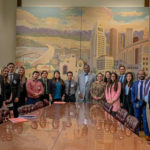 The Los Angeles Younger Member Forum hosted a red carpet screening of Dream Big: Engineering Our World at the LA Metro Headquarters Boardroom. 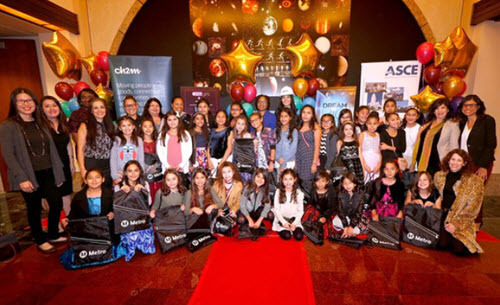 The Younger Member Forum teamed up with DIY Girls, an organization that aims to increase girls’ interest and success in technology and engineering, to host K-12 students in the area. This past weekend, we volunteered as judges in the Future Cities Competition. Middle schoolers across Tampa created models of ideal societies to deal with real-world problems. 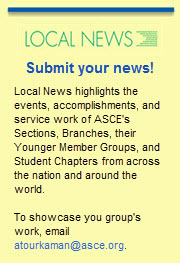 The University of South Florida Student Chapter volunteered as judges in the Future City engineering competition. Middle school students utilized the engineering design process to create models of ideal societies of the future.